A winter wonderland scene. 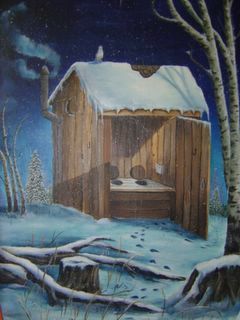 Outhouse art is only available at Greenscape Gardens. Its actually worth the drive to visit the most unusual (maybe the only) outhouse in West County.